excited to see the first lilies. I really think Stargazer lilies are my favorite flower...that is if I HAD to pick just one. I'm so glad I can have several favorites because my love of flowers goes back to my earliest memories as a child. 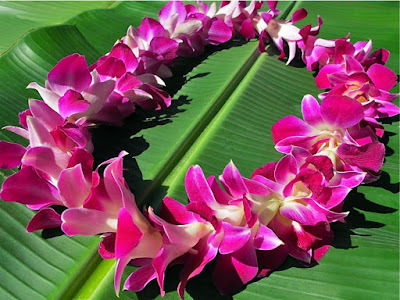 I was blessed to live in Hawaii and completed kindergarten through third grade there. We were always surrounded by flowers. 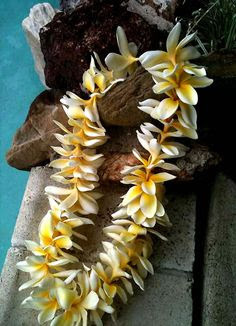 I remember making leis out of plumeria flowers that grew in our front yard. 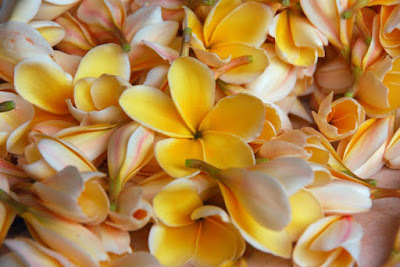 They smelled wonderful and were easy to thread because of the way the flower petals join leaving a small round hole. and it's always worth the effort. I had a great -aunt who was the President of the Pensacola Garden Society back in the 1960's. She was born with a green thumb and had a wonderful greenhouse. I was always a little afraid of stumbling upon a snake in there but I so enjoyed my childhood visits to her greenhouse! We are looking forward to another visit to Butchart Gardens for our anniversary next month.